Meets 16 weeks on Saturdays 9/2/17 through 12/16/17 from 9:00am to 3:00pm. 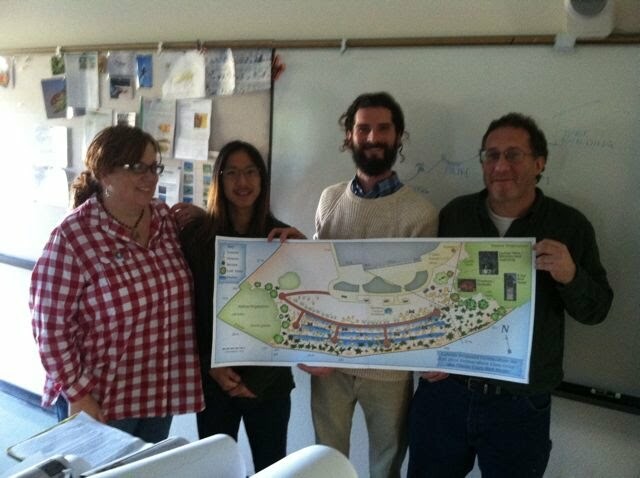 Cabrillo’s Permaculture class, taught by Ken Foster, was both life affirming and trajectory changing. It brought together so many areas of interest that I feel passionate about (ecology, economics, horticulture, culture, energy independence, sustainability), and provided me with the opportunity to build a road map towards the life of my dreams. I wish that every citizen of this planet had such an opportunity. Thank you Ken, for your generous sharing of both your knowledge and enthusiasm. I am forever better for it. Click here to go to the Facebook page for the Permaculture class. Permaculture Design is the Art and Science of Ecological Design, which uses the application of Natural Patterns and Ethical Intentions to create long-lasting, beautiful, and regenerative systems that provide humanity’s essential needs, starting with water, food and shelter. Originally a derivation of Permanent agriculture, Permaculture has evolved to deal with all aspects related to human culture and land stewardship. The goal is to design systems so that they are the most productive with the least amount of inputs and maintenance. Through thoughtful observation, a design is arrived at that most fits the needs of all involved. Mother Nature is the Model: Design for Regeneration. Permaculture differs from other design methodologies in that Ethics are at the core of the design process. Through the Ethical Intentions of Caring for the Earth, Caring for People, and sharing surplus resources necessary for survival, we can develop resilient communities well equipped to deal with climactic and economic fluctuations.